At the end of September, IDS Vancouver played host to a slew of top talent from the western reaches of Canada, as well the U.S. Here are just a few of the exhibitors that really grabbed our attention. 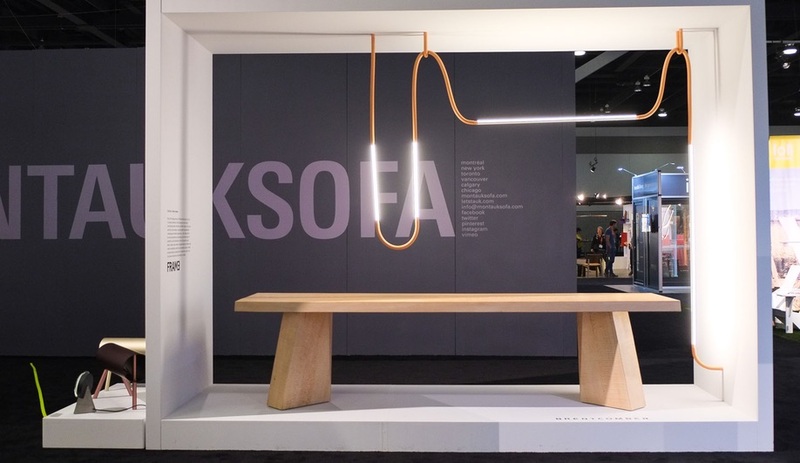 The Seattle collective, which describes itself as “super deluxe art machine”worked with 3form company Light Art to create this immersive installation that greeted visitors at the show entrance. 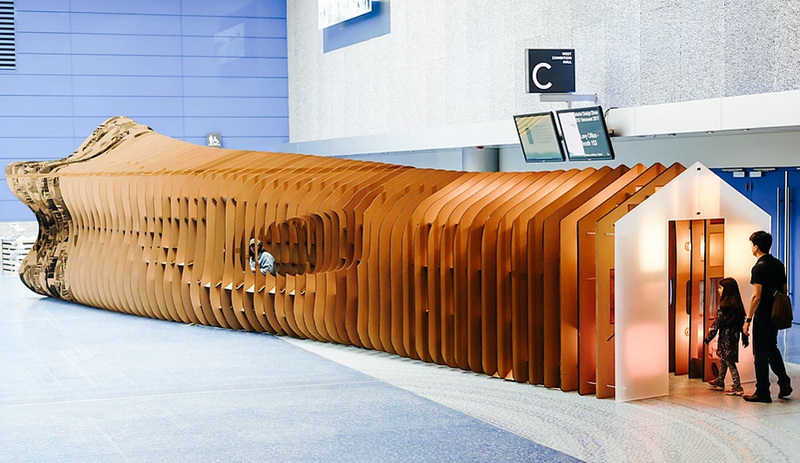 The 19-metre-long passageway “moves from human order to natural order,” with patrons starting at a defined, house-shaped entrance, framed with backlit panels. 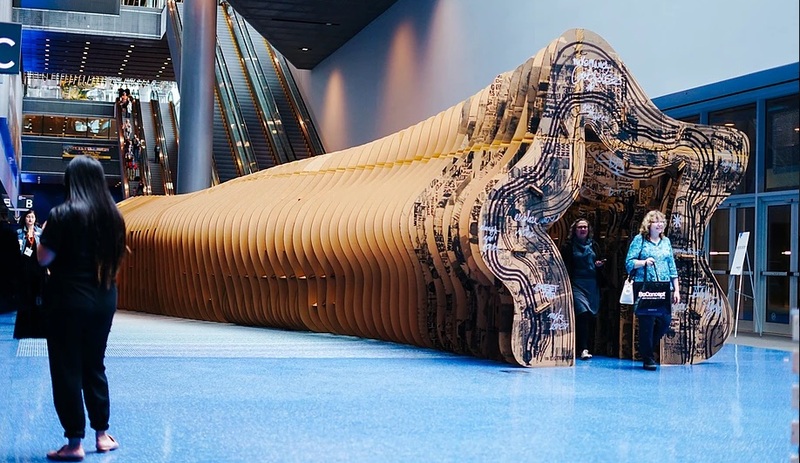 Inside the ribbed cardboard structure, a built-in bench runs along the centre’s right wall, offering a perspective of both the rigid pitched roof form and the futher reaches, where the form becomes organic, mimicking the natural shape of a tree. 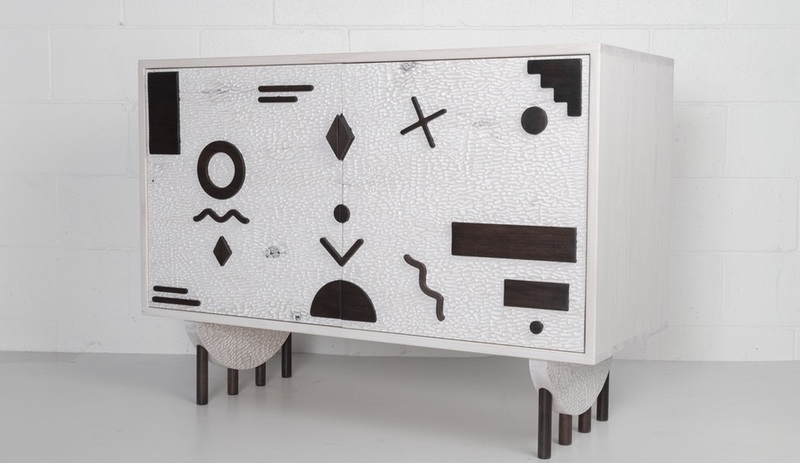 Inspired by the obvious artistic movements, as well as the Canadian wilderness, Edmonton designer Carson Wronko’s handmade wood furniture and accessories turn domestic materials, such as bleached maple and blackened walnut, into unique sculptural forms. The Clay & Glaze exhibit, a platform for ceramicists from around the world to show their work, is always one of the most beautiful features on the show floor. 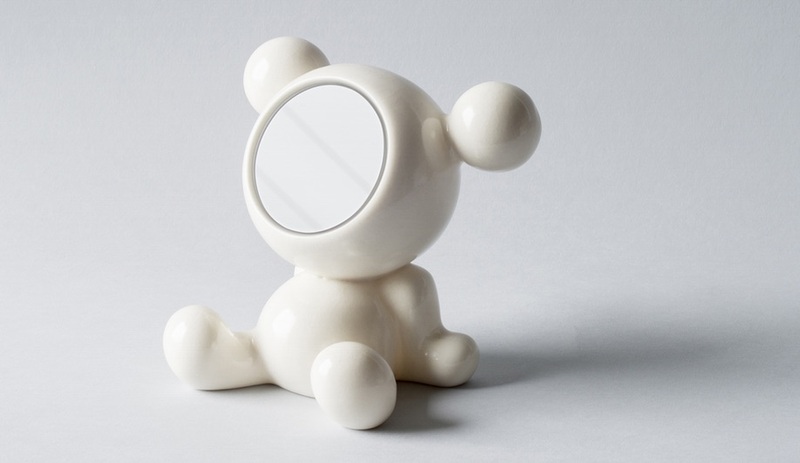 Among the highlights this year was a series of playful pieces, including Doll vases and MoBear sculpture with a mirror face, by Anyuta Gusakova, a local artist. Gusakova also showed the winged sculpture she designed for the Canadian College for Performing Arts’ Canadian Legend Award, which was given to B.C.-born music mogul David Foster earlier this year. 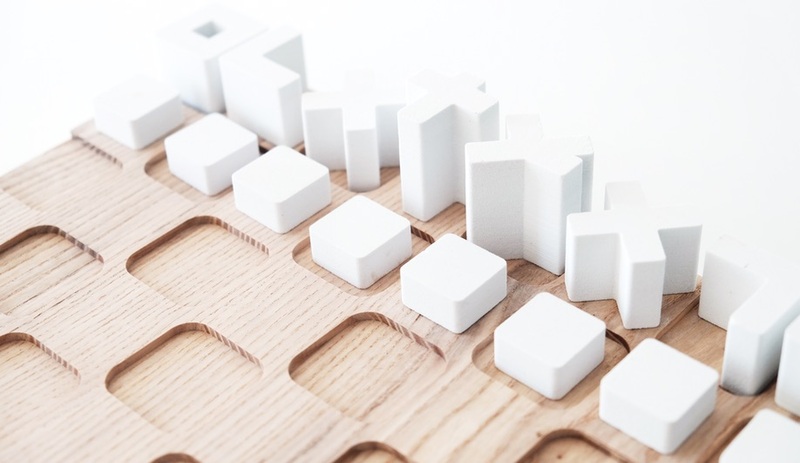 Imu Chan’s locally based firm caught our eye twice at the show: first with its design of an angular platform that hosted the Tokyo Exchange feature, and again with MiniZen, shown in the Prototypes section. 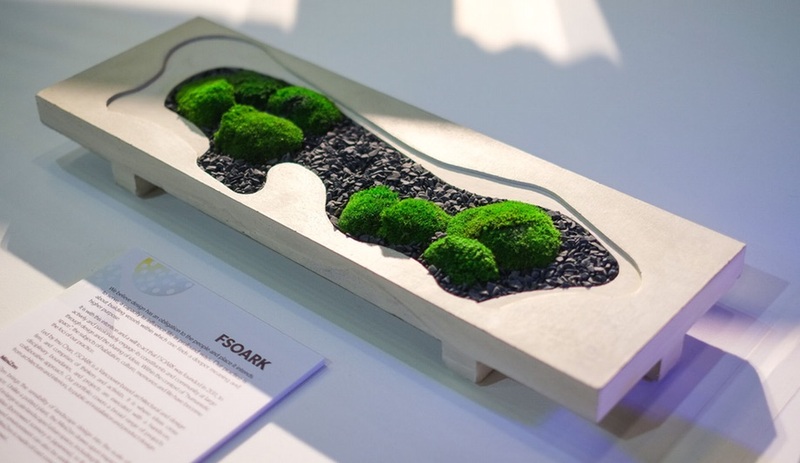 The tiny zen garden shrinks landscape design down to potted plant scale and is made with preserved moss and black gravel, which sit atop a cast concrete base. 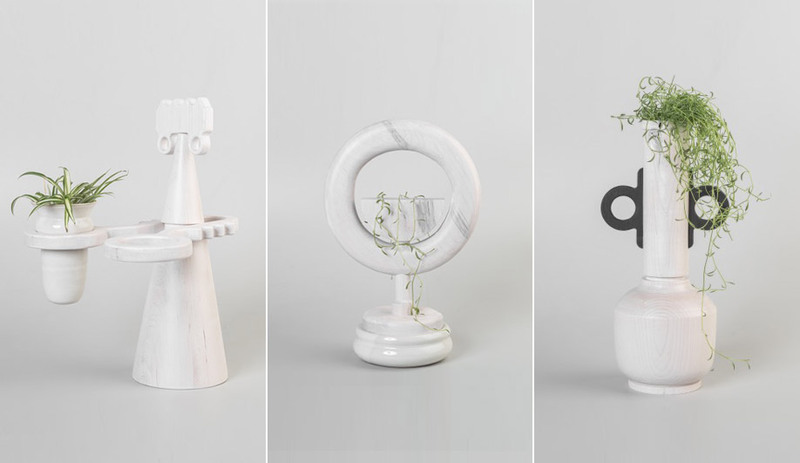 Last year Christian Blyt – a Vancouver designer and professor of industrial design at Emily Carr University of Art & Design – led a student design team that created Azure’s IDS Vancouver booth. 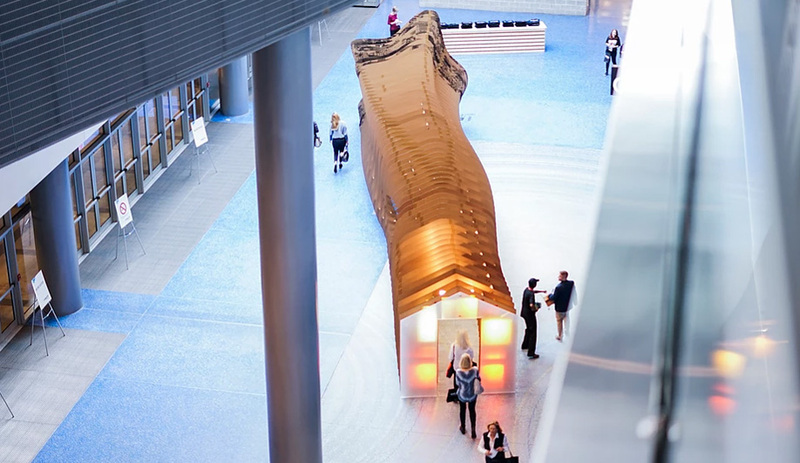 This year he was back with a space of his own, showcasing products made with Corelam, a lightweight, corrugated plywood he developed while studying in Finland. 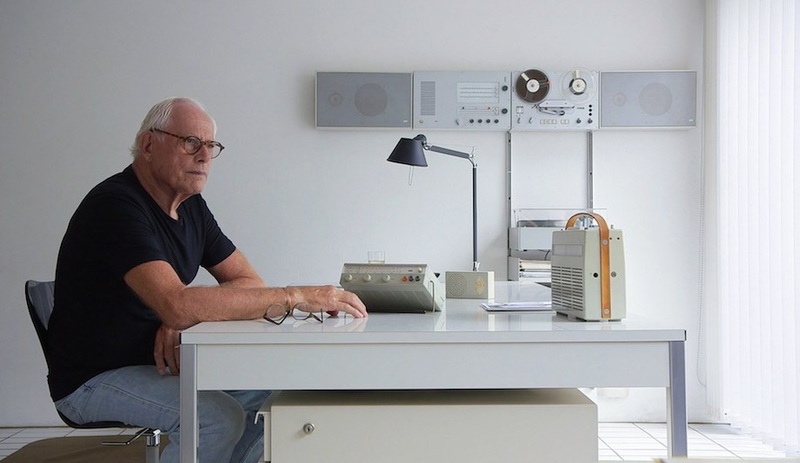 Currently shifting its focus from material supplier to product line, Studio Corelam showed off a series of multi-functional, flat-pack stools, an adaptable credenza, and a surprisingly strong leaning shelf. 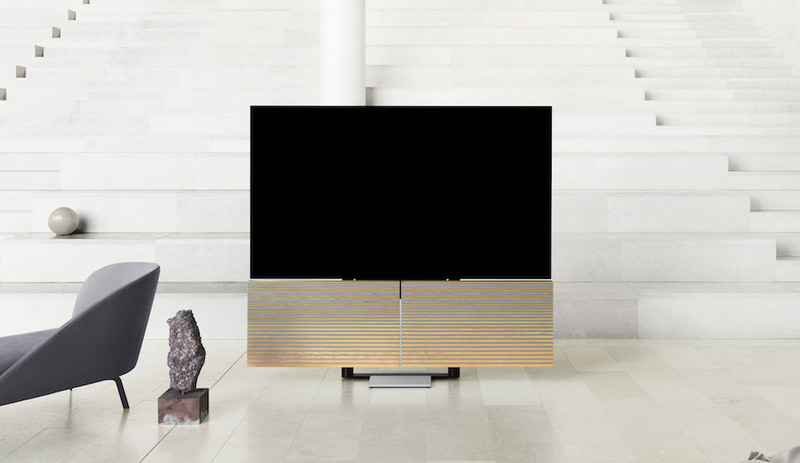 Based just outside Winnipeg, Lixht chose IDS Vancouver to debut it’s new furniture series, and also gained a lot of attention with its house numbers collection, which designer Valentin Mittelstet says is his most popular product. 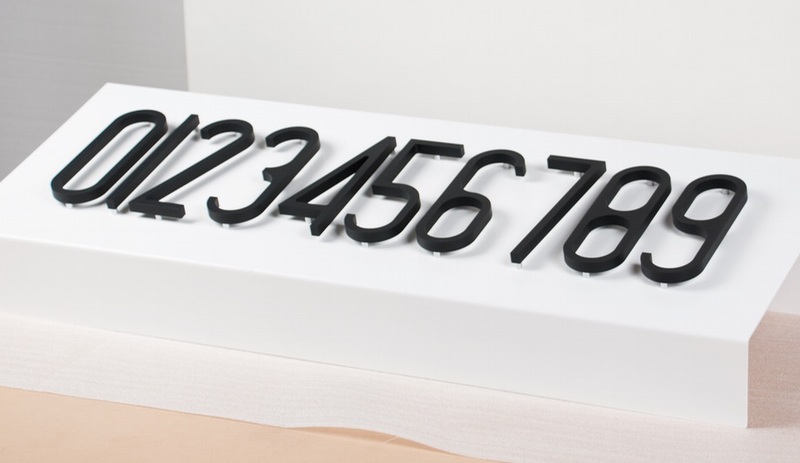 The CNC laser cut steel numerals add contemporary curb appeal, and can be complemented with a coordinating machine-bent, steel mailbox, finished using a double layer powder coating process. 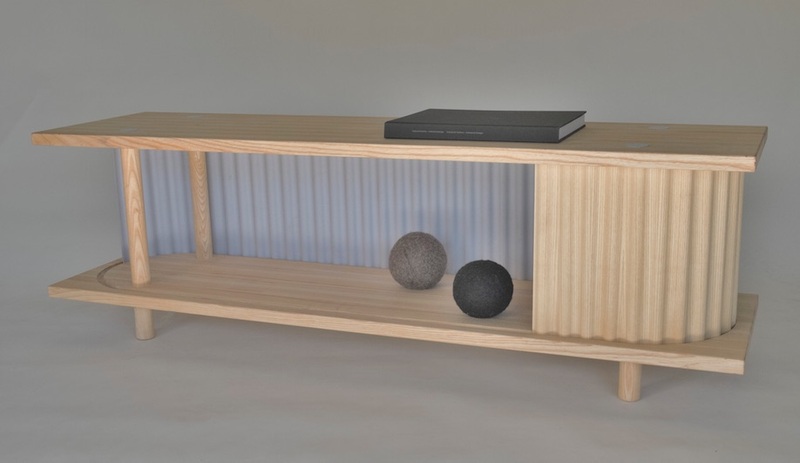 Deagan McDonald and Kelsey Nilsen’s studio Origins first caught our attention last year when they took first place in the Iceland Trekking Cabins competition. We also took notice of their Tempo book bench, with a corrugated interior, shown as part of IIDEX Woodshop a few weeks later and again during design week in Toronto, where they were based at the time. They’ve since packed up and moved west to Vancouver, where McDonald works with Michael Green Architecture, and Nilson at HDR. 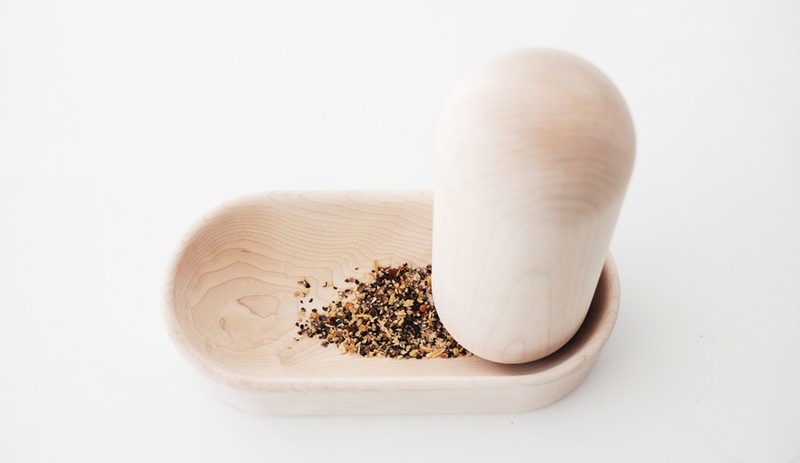 For their IDS Vancouver debut they launched prototypes for a new pill-shaped mortar and pestle and a stunning 3D-printed porcelain chess set with CNC-carved board. Though they’re not based anywhere near Vancouver, one half of this Eindhoven duo does hail from B.C. Oskar Peet is in fact the older brother of Vancouver lighting designer Lukas Peet. 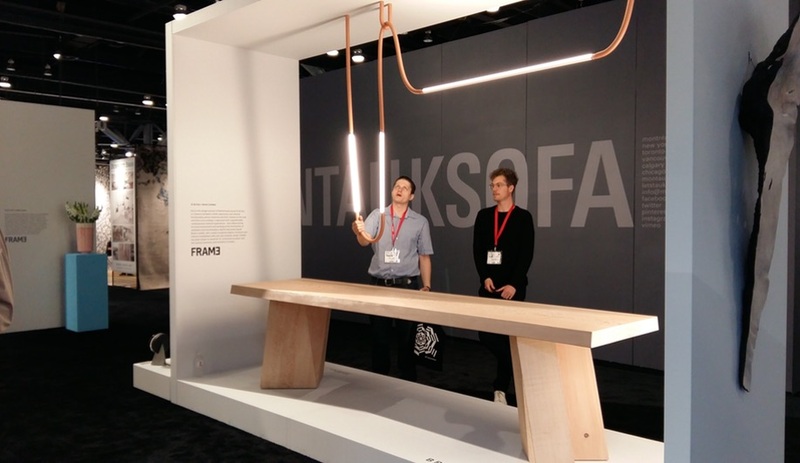 He and partner Sophie Mensen were on hand to give an offsite talk, at Brent Comber’s North Van studio, and they also showed off their flexible LED Mono-Light, which earned an Award of Merit in the 2016 AZ Awards. It was displayed above one of Comber’s stunning wood tables. 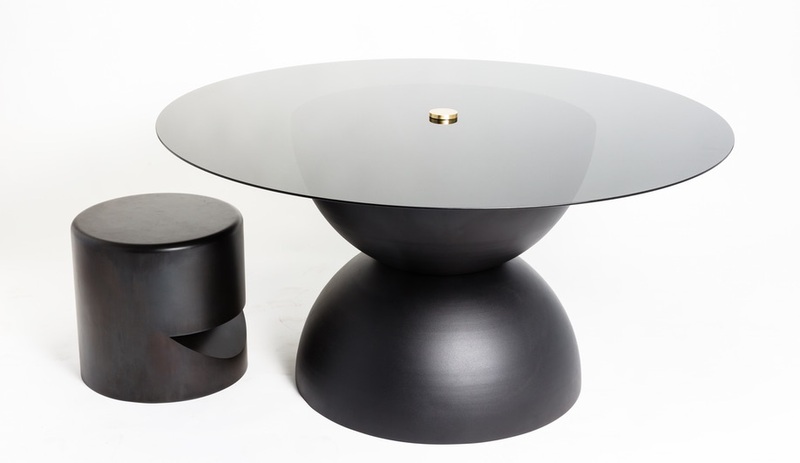 Showing his darker side this year, Barber launched this black dining table and spun metal stool, in addition to the black version of the Pluto table that we gave you a sneak peek at in our show preview. 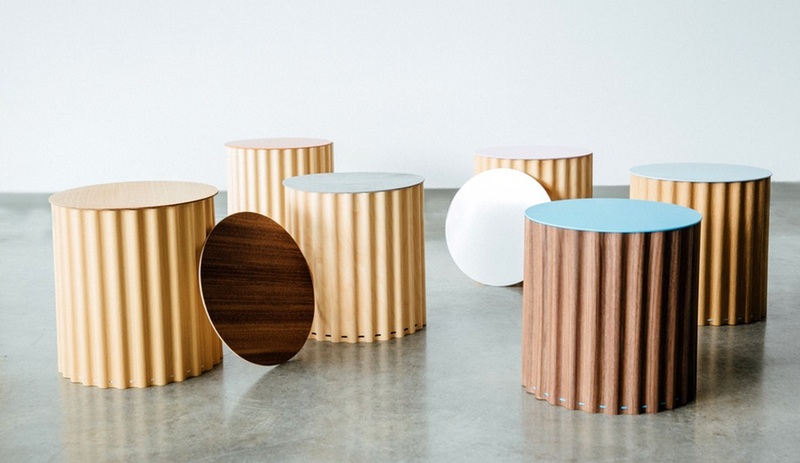 The table takes the ball-shaped base of Pluto and slices it in half, to create a stable base for a larger table. Attached to the smoky glass top with the brass accent piece, the table breaks down into three pieces to be easily moved. 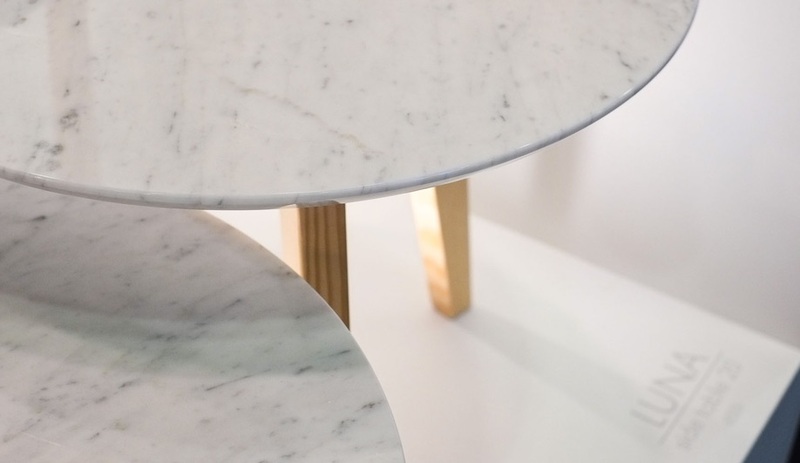 The discovery of a local source for Carrara marble offcuts, which were otherwise destined for landfill, led Vancouver designer Romney Shipway to introduce the Luna series of tables, in range of sizes. 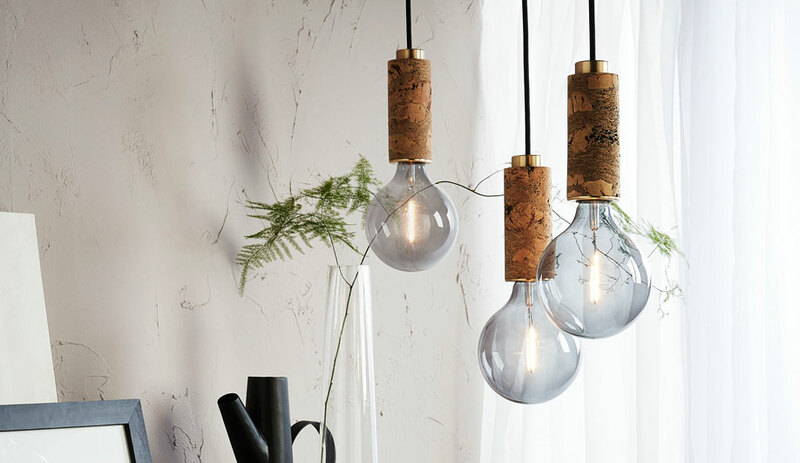 The upcycled marble is just the latest eco-friendly medium added to the designer’s palette: his pieces are always made from local and sustainable materials, such as Douglas Fir from a sustainably managed community forest on Cortes Island. Shipway also works exclusively with water-based, non-V.O.C. and eco-certified finishes and glues. 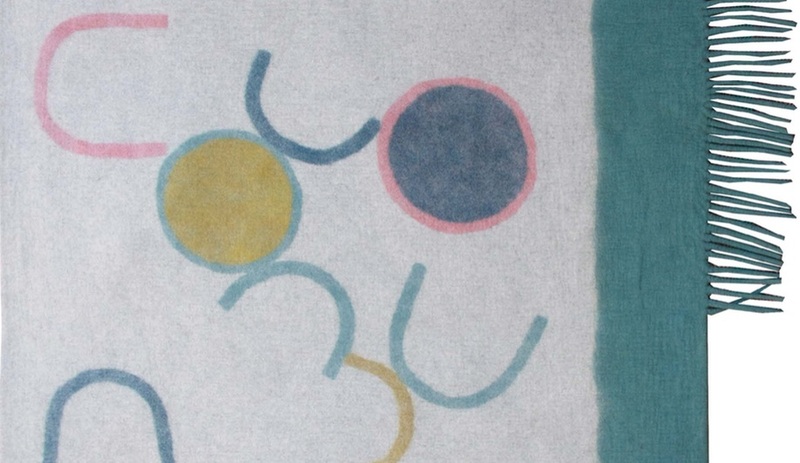 Riley McFerrin’s Vancouver studio Hinterland collaborated on this collection of area rugs with Peace Industry, a San Francisco designer, producer, and retailer of Iran-made felt area rugs. 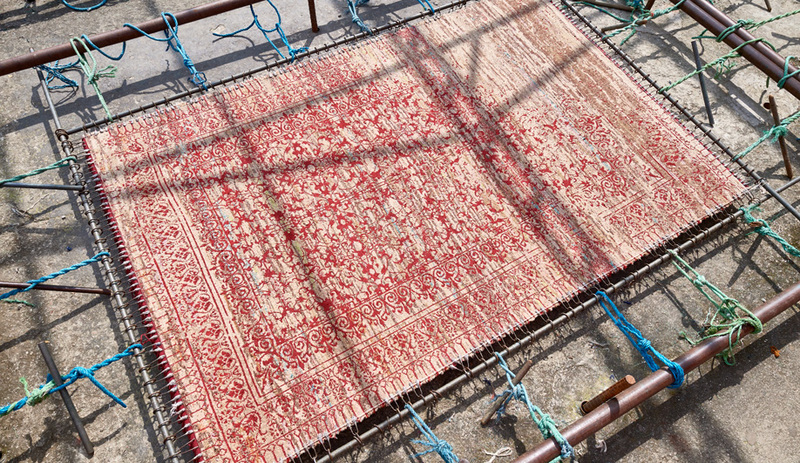 The two rugs currently in the collection both feature post-modern motifs; Fringe (shown) is characterized by its asymmetrical fringe, while Radius has one rounded corner.